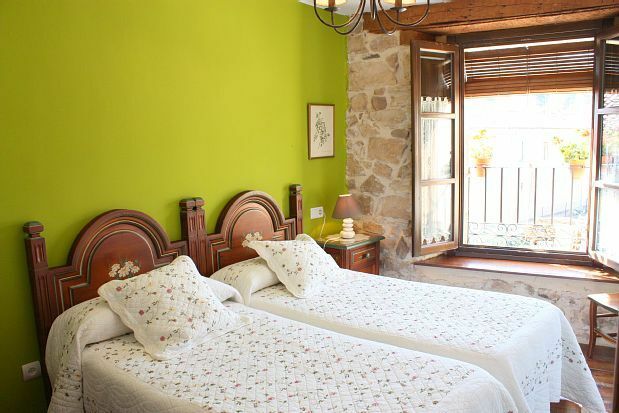 The Rural House Pinares de Soria (4 stars) is rented entirely and is ready to accommodate 1 to 10 people. The house is distributed on two floors. The Rural House Pinares de Soria thanks to its privileged location is the ideal accommodation to stay and visit the Black Lagoon, the Cañon del Rio Lobos, Los Picos de Urbión, Calatañazor, etc. In addition, you can carry out multiple activities such as hiking, mushroom picking, Quads and horse riding, Golf, skiing in the Santa Inés Snow station, and water sports in the Cuerda del Pozo reservoir.